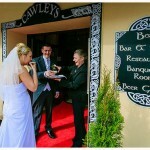 Our Wedding Package is fully customised to suit your requirements. 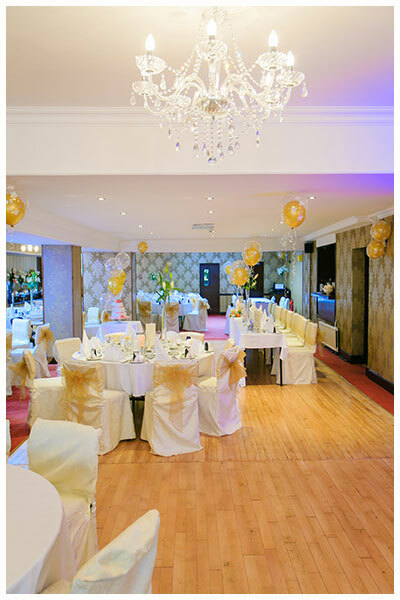 We can cater for small intimate weddings of 50 guests, civil ceremonies, civil partnership celebrations or larger wedding parties with up to 150 guests. 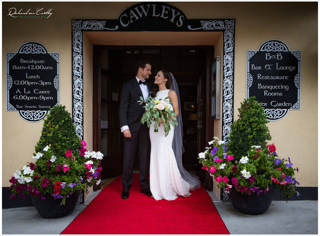 On arrival you will be met by complimentary red carpet and champagne for the bride and groom. Your guests can enjoy a drinks reception served with canapés, which will be held in the lobby, our restaurant leading out onto our landscaped garden or in our garden marquee. The garden is available for photographs or you may wish to visit the beautiful Lough Talt. Your reception is decorated with seat covers as standard in cream and gold, each table has white table linen and elegant linen napkins to match. 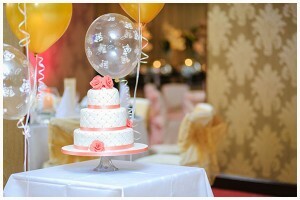 Each table is decorated with flower/candle arrangement, which can be customised to match your colour scheme. We are happy to organise a wedding for couples coming home to get married as the arrangements can be made through phones/email/skype/fax as requested. Menus are customised for each couple. Contact Teresa to discuss your requirements. We can cater for arrival drinks reception with canapés. You have a choice of full sit down menus or sit down warm or cold buffet menus. Complimentary tea coffee and biscuits served when arrival drinks reception is booked. 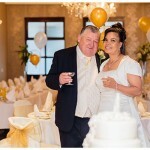 Please contact us, as we would be delighted to discuss your wedding day requirements.